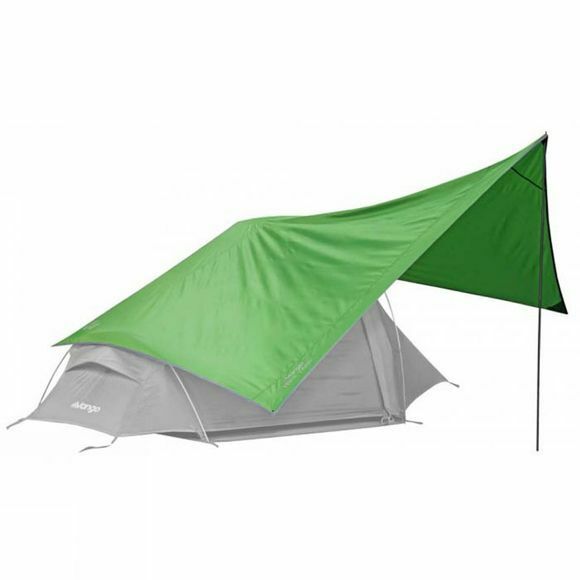 The Vango Trek Tarp with Pole is a handy piece of kit that you can use as an extension to a small back packing tent. Compatible with front or side doors it is quick and easy to fit. A single pole offers height while bright guylines can be pegged out to secure and anchor down your extra shelter.